Menear M, Gilbert M, MJ Fleury. 0. [Improving population mental health by integrating mental health care into primary care].. Sante Ment Que. 42(1):243-271. Carrier J-D, Blais L, Cohen A, Courteau J, Roberge P, Larouche A, Grignon S, MJ Fleury, Lesage A, Demers M-F et al.. 0. [Initiating an antipsychotic drug treatment for schizophrenia: the situation in Quebec, Canada, from 1998 to 2006].. Sante Ment Que. 42(1):85-103. MJ Fleury, Denis JL. 2000.  [Implementation and effects of regional plans of organization of services as a strategy implementing the mental health care reform in Québec: an assessment.].. Sante Ment Que. 25(1):217-40. MJ Fleury, Denis J-L. 2000. Proposition d’un modèle d’évaluation de la mise en œuvre et des effets de la planification des programmes régionaux d’organisation des services de santé mentale au Québec. The Canadian Journal of Program Evaluation. 15(2):117-148. MJ Fleury, Mercier C. 2002. Integrated local networks as a model for organizing mental health services.. Adm Policy Ment Health. 30(1):55-73. Grenier G., MJ Fleury. 2002. [Medicine and health in French Canada: a historiography (1987-2000)].. Sci Can. 26:29-58. MJ Fleury, Ouadahi Y. 2002. [Network of integrated services : regulation and driving force of implementation of change.].. Sante Ment Que. 27(2):16-36. MJ Fleury, Mercier C, Denis J-L. 2002. Regional planning implementation and its impact on integration of a mental health care network.. Int J Health Plann Manage. 17(4):315-32. MJ Fleury, Denis J-L, Sicotte C. 2003. The role of regional planning and management strategies in the transformation of the healthcare system.. Health Serv Manage Res. 16(1):56-69. MJ Fleury. 2005. Quebec mental health services networks: models and implementation.. Int J Integr Care. 5:e07. MJ Fleury, Grenier G., Lesage A. 2006. Agreement between staff and service users concerning the clientele's mental health needs: a Quebec study.. Can J Psychiatry. 51(5):281-6. MJ Fleury. 2006. Integrated service networks: the Quebec case.. Health Serv Manage Res. 19(3):153-65. Gaumer B, MJ Fleury. 2008. CLSCs in Quebec: thirty years of community action.. Soc Work Public Health. 23(4):89-106. MJ Fleury, Grenier G., Caron J., Lesage A. 2008. Patients' report of help provided by relatives and services to meet their needs.. Community Ment Health J. 44(4):271-81. Grenier G., MJ Fleury. 2009. [Mental health community organizations in Québec: role and partnership models].. Sante Ment Que. 34(1):101-26. MJ Fleury. 2009. [Mental Health in primary care].. Sante Ment Que. 34(1):19-34. MJ Fleury, JM Bamvita, Tremblay J. 2009. Variables associated with general practitioners taking on serious mental disorder patients.. BMC Fam Pract. 10:41. MJ Fleury, Piat M, Grenier G., JM Bamvita, Boyer R, Lesage A, Tremblay J. 2010. Components associated with adequacy of help for consumers with severe mental disorders.. Adm Policy Ment Health. 37(6):497-508. Wiktorowicz ME, MJ Fleury, Adair CE, Lesage A, Goldner E, Peters S. 2010. Mental health network governance: comparative analysis across Canadian regions.. Int J Integr Care. 10:e60. MJ Fleury, Grenier G., JM Bamvita, Caron J.. 2010. Professional service utilisation among patients with severe mental disorders.. BMC Health Serv Res. 10:141. Jiwani I, MJ Fleury. 2011. Divergent modes of integration: the Canadian way.. Int J Integr Care. 11(Spec 10th Anniversary Ed):e018.